Land Rover is a trusted brand, but it's not just a name that is geared towards adults. With a wide range of branded items aimed at youngsters, Land Rover offers great appeal to all the family. If you're looking for an enviable selection of books, caps, hats, scarves and gifts and toys associated with the Land Rover brand, you've come to the right place. Children love story time and when those stories involve vehicles of every kind then its even better! The range provided by Land Rover will certainly appeal to any vehicle-mad youngster. 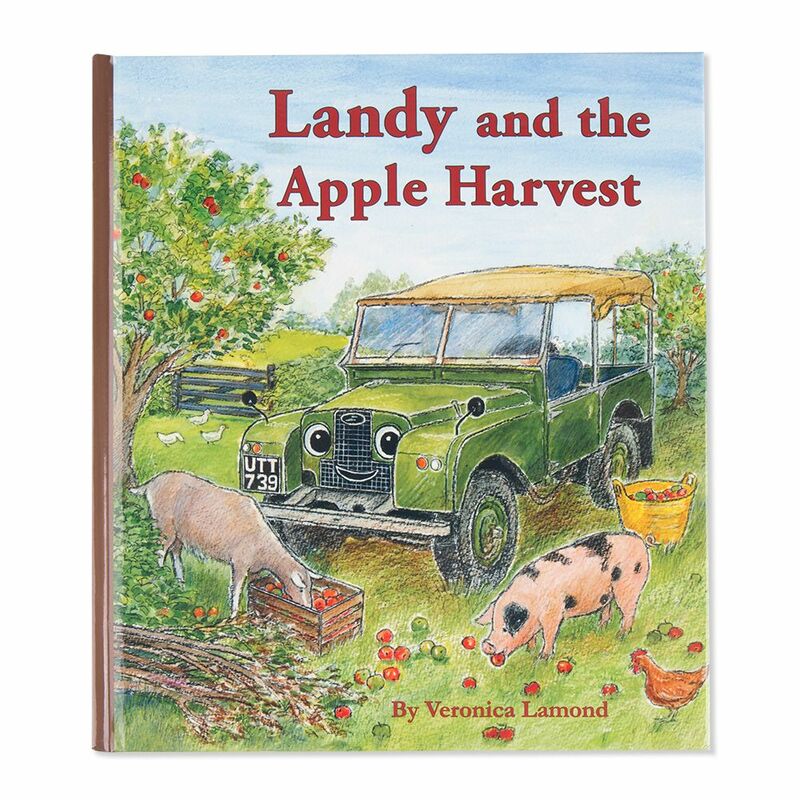 The delightful collection of Land Rover Official collection books are beautifully illustrated and will captivate young audiences with their vehicle-inspired stories. Whether for reading before bedtime or at any time of the day, little ones will be engrossed in the adventures of the characters portrayed in each book. If your child can't put the book down, why not get the complete collection? Whether you want to keep the sun off your youngster's head in summer or keep them warm in winter, you'll find a wide selection of headgear available under the iconic Land Rover brand. There are baseball caps available in an assortment of colours to suit both boys and girls, and the Land Rover badge and design will ensure they look trendy at all times. Most importantly, the Land Rover caps are comfortable to wear, with velcro fastenings at the back. Made from high-quality materials, these caps are made to last. For cooler climates, boys and girls can also be wrapped up warm with hat, scarf and glove sets. Just because the temperature drops doesn't mean youngsters can't look stylish, as you will find these sets with the Land Rover design and attractive colours utterly appealing. They're made from warm, high-quality materials to keep youngsters toasty. Land Rover is fun and exciting, and this is reflected in the wide array of branded toys and accessories suitable for children. On a practical level, Land Rover products can kit youngsters out for school, offering a range of backpacks, lunch boxes and pencil cases for boys and girls. However, when it comes to play time, you can rely on Land Rover to spark the imagination of any child. As a brand of vehicle, it only makes sense that you can buy miniature versions of the vehicles themselves. With a range of Defender car models to choose from, kids will be kept entertained for hours. More than just your average toy car, these models have lots of cool features that will let imaginations run wild. The Land Rover brand is synonymous with adventuring, so you can purchase teddy bears eager to accompany you on your next trip. The Land Rover branded bears will melt the hearts of any youngster, and they won't need persuading to bring them on any outing. Whatever your choice of Land Rover accessories for children, you'll find great-quality products at affordable prices. Ideal as a gift, they're sure to delight any child.